VICTORIA IS FAST BECOMING the whack-job capital of Canada, if it isn’t already. There’s just too much silly news coming out of there to believe. The Legislature spending scandal has kept the pundits and commentators more than busy the last few weeks. 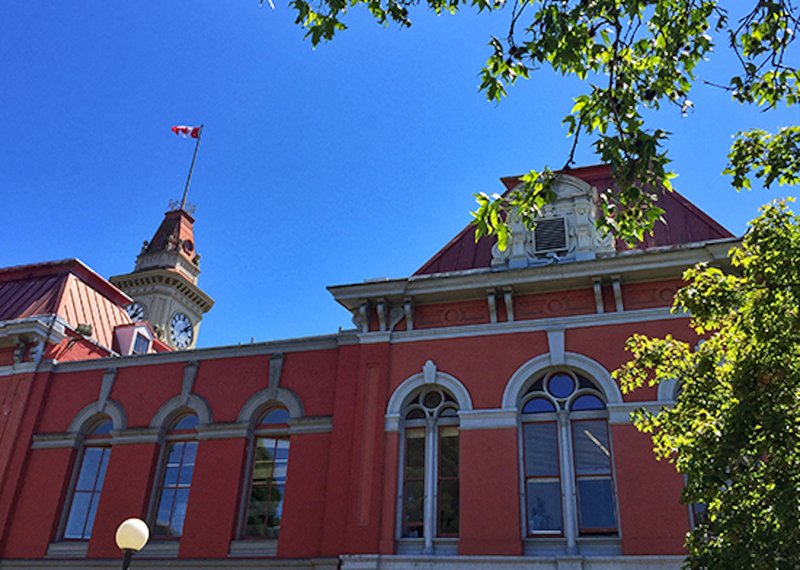 Add Victoria City Hall to the mix and it really gets interesting. You’ll remember that the Victoria council decided Sir John A. Macdonald was not worthy of being represented outside the City Hall building, so they removed his statue to storage. In the name of reconciliation, of course. It was the same bunch that fretted about whether the City’s Christmas decorations were too Christian. But they’re outdoing themselves with their latest bit of nonsense. They’ve endorsed the concept of a class action lawsuit against Alberta’s oil and gas companies to recover costs incurred as a result of climate change. According to one City councilor, the tab probably comes to billions of dollars if extended across the province. In fact, it was the resort municipality of Whistler that brought up the idea in the first place. Understandably, Alberta is not amused. Premier Rachel Notley accurately calls the proposed lawsuit hypocritical, noting that the City of Victoria continues to pump over 100 million litres of raw sewage into the ocean every day. The lawsuit isn’t likely to get anywhere very soon but the Victoria council intends to present it to the Union of B.C. Municipalities — the organization representing municipalities and regional districts in the province — at its annual convention in the fall. The relationship between B.C. and Alberta is at an all-time low and likely won’t be patched up until the Trans Mountain pipeline issue is sorted out. Victoria’s penchant for absurdity doesn’t help anything in the meantime. An opinion piece which provided for some even more interesting comments from the audience! Personally I find the oil companies no more nor less guilty of environmental devastation than the building industry or the motor vehicle industry…just to name a few. Hey Robert, your comment is poster material! Well all well and good but the one thing the legal system fears and you never see is the truth. No lawyer is interested in the truth if it will convict a client. Show me the money and drag it out a long as possible for billable hours. Notwithstanding David Goars training and experience I thing that considering the very possibility of making both governments more aware that neither form of pollution should be allowed is a step in the direction of making all of us more aware of the blanketing effect of all our pollution. As someone that believes in Law for society. Please don’t leave sight of what the rest of us think about the “law” society, to quote, “Kill all the lawyers” or my own “by lawyers, for lawyers, with lawyers”. So to say the legal system is equipped to handle such things… go ask the relatives of some of the victims. The legal system has no more moral authority than the political one….and that’s giving it credit. It’s grossly over expensive, for a system that should be in common language. and should be accessible to the people being judged- on ether side of the case. So to say the legal system is there to counter balance…BS. It’s there to make someone money…I’ll lay odds this ludicrous lawsuit was probably suggested by one of it’s “members”. We need the political system cleaned up….for the sole purpose of cleaning up the legal system. I agree Robert that the political system need cleaning up.But are they responsible for the damage done by industry?If industry was held responsible for the damage done to climate,ecology ,human / racial relations this would be a better world. Politics can handle that if it was a cleaner less partisan system. There is nothing inherantly wrong with suing big oil or big licquer,big forestry or any other industry that has been knowingly and willfully damaging the world condition.Very few thought that big tobbacco could be stopped .Well they were certainly cutailed with hundreds of billions of dollars in fines and charges..Big auto and big plastic and big chemical should all be sued /stopped from further distruction.They are protected by self interested lawyers not the legal system.Although it is not blameless. Its not just politics that needs cleaning up.It’s becoming evident and has been for 100 years that if they are not stopped this planet will die and all it’s inhabitants with it.EXTREME ??? Probably but we must start somewhere. As someone who practiced law for 35 years, I, personally, find it questionable when it is suggested, even implicitly, that political considerations should have any bearing upon what happens in the legal system. The legal system is intended to operate independently and, indeed, to provide a judicious counterbalance, when required, to the ebbs and flows in the political world. If municipal lawsuits against oil companies are ludicrous, as suggested, it is up to the legal system and not the political or journalistic system, to reach this conclusion. To suggest otherwise confirms the observation made by John Kennedy, many years ago: “ Too often, we enjoy the comfort of opinion without the discomfort of thought”.